I think the way that your question can be answered is to set aside a short time each day where you can talk to your husband about your days. We try to do this every night. We use this time to pray, read the Bible, and talk. During the time where we talk, it is really important that my husband shares with me anything that I should know. Maybe you can explain this to your husband and he can become more open over time. That way you are not always confronting him, but he can come to you to tell you. I also share with my husband anything that is on my heart. It is really hard in a marriage when you feel like you have to hold things in. I know because that is how we lived for over ten years. I don’t hold things in anymore. I plan an appropriate time when I can share with my husband what is on my heart. If you are worried about how your husband might react, you could try telling him that you just really need to talk with him. You could even explain that you don’t want to fight or anything, but just openly share how you’re feeling about what you’ve seen on the computer or whatever it might be. 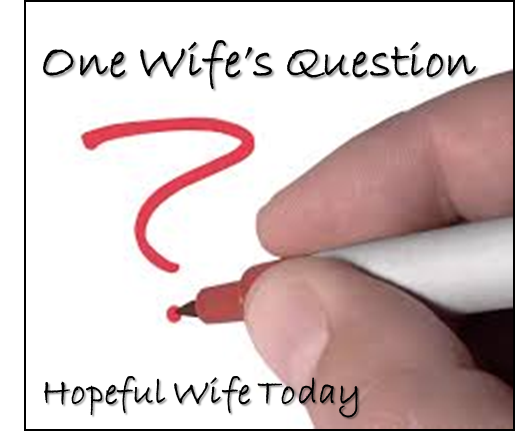 Is there anything else you would like to add to help answer this wife’s question? Do you ever struggle with what to tell your husband? Please share your ideas in the comments below.